"History may never repeat itself again." The Goa'uld System Lord Ba'al has a new plan to conquer Earth. Eliminate the Stargate program before it was ever created. He and his forces travel back to 1929 and murder the crew of the cargo ship Achilles, which is transporting the stargate to the U.S. The action causes changes to the timeline. In the present, Stargate Command members Teal'c and Vala have suddenly disappeared. Jack O'Neill is killed by Ba'al before Samantha Carter, Colonel Mitchell and Dr. Jackson escape through the stargate. Back on Earth, the trio realize the timeline they know has been altered. Their efforts to convince the military to help them fix the timeline fail, and the three are separated. A year later, Ba'al's fleet launches a massive attack on Earth. 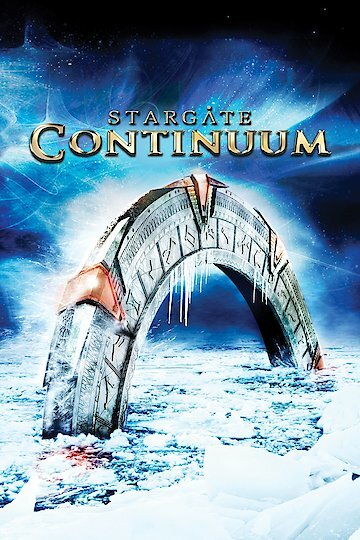 Carter, Jackson and Mitchell are called back by the military in an attempt to use a stargate discovered in Antarctica to repair the damage Ba'al has done to the timeline. But can they evade the Goa'uld invasion force and travel back in time to defeat Ba'al? Stargate: Continuum is currently available to watch and stream, download, buy on demand at Amazon Prime, Vudu, Google Play, FandangoNow, iTunes, YouTube VOD online.